Logistics and traceability are important issues for big scale firms. Traceability is primarily viewed as a tool for the food safety by providing a mean for recall as well as proof for the authenticity of food, but it is also related to food quality. Maintaining the cold chain not only effecting the customer’s preference and satisfaction but also the profitability, production and logistic costs for big scale firms especially producing perishable food products. Recently, the trend of utilizing GIS based traceability systems is increasing, which facilitates to minimize the production and distribution of unsafe and low quality food products. This paper presents a GIS based system enabling network analysis, which might be efficiently and effectively used in the firms operating in ready-to-eat pastry sector, intended to be used for full-automation through all the stages from production to retail was developed and a partial application was performed. Lojistik ve izlenebilirlik büyük ölçekli firmalar için önemli konulardır. İzlenebilirlik öncelikle gıda güvenliği için gıdaların orijinalliğini ispatlamanın yanı sıra geri çağırma olanaklarını da sağlayan bir araç olarak görülmekle birlikte gıda kalitesiyle de doğrudan ilgilidir. Soğuk zincir sadece müşterilerin tercih ve memnuniyetini etkilemekle kalmayıp özellikle bozulabilir gıda ürünleri üreten büyük ölçekli firmaların kârlılık, üretim ve lojistik giderlerini de etkilemektedir. Son zamanlarda, CBS tabanlı izlenebilirlik sistemlerini kullanma eğilimi giderek artmakta ve bu da düşük kaliteli gıda ürünlerinin üretimini ve dağıtımını en aza indirmeyi kolaylaştırmaktadır. Bu çalışmada, üretimden perakendeye kadar tüm aşamalarda tam otomasyona yönelik hazır pasta ve tatlı sektöründe faaliyet gösteren firmalarda etkili ve etkin bir şekilde kullanılabilecek ağ analizinin kullanıldığı CBS tabanlı bir sistem geliştirilerek kısmi bir uygulama yapılmıştır. Bertolini M., Bevilacqua M., Massini R. Approach To Product Traceability In The Food Industry. Food Control, 17 (2006) 137-145. Trienekens J., Zuurbier P. Quality And Safety Standards In The Food Industry, Developments And Challenges. International Journal Of Production Economics, 113-1 (2008) 107-122. Guidelines for quality management in soil and plant laboratories. Address: http://www.fao.org/3/W7295E/W7295E00.htm. Retrieved July 2, 2017. Safety and quality of fresh fruit and vegetables: A training manual for trainers. United Nations. Address: https://unctad.org/en/docs/ditccom200616_en.pdf. Retrieved July 24, 2017. Codex Alimentarius Commission. Basic Texts On Food Hygiene. Address: http://www.fao.org/docrep/012/a1552e/a1552e00.htm. Retrieved September 25, 2017.
	International Organization for Standardization. ISO 22000 Food Safety Management. Address: https://www.iso.org/obp/ui/#iso:std:iso:22000:ed-2:v1:en. Retrieved September 25, 2017. Aghazadeh, S. Improving Logistics Operations Across The Food Industry Supply Chain. International Journal of Contemporary Hospitality Management, 16-4 (2004) 263-268. Brimer R.C. Logistics Networking: A Consideration Of The Components Essential To An Integrated Logistics Support Network. Logistics Information Management 8-4 (1995) 8-11. EU. Regulation (EC) No 178/2002 Of The European Parliament And Of The Council. Address: https://www.ecolex.org/details/legislation/regulation-ec-no-1782002-of-the-european-parliament-and-of-the-council-laying-down-the-general-principles-and-requirements-of-food-law-establishing-the-european-food-safety-authority-and-laying-down-procedures-in-matters-of-food-safety-lex-faoc034771/. Retrieved September 25, 2017. Golan E., Krissoff B., Kuchler F., Calvin L., Nelson K., Price G. Traceability In The U.S. Food Supply: Economic Theory And Industrial Studies. Agricultural Economic Report. Address: https://ageconsearch.umn.edu/bitstream/33939/1/ae040830.pdf. Retrieved September 20, 2017. Beulens A.J. M., Broens D.F., Folstar P., & Hofstede, G. J. Food Safety And Transparency In Food Chains And Networks. Food Control, 16-6 (2005) 481-486. Rijswijk W.V., Frewer L.J. How Consumers Link Traceability To Food Quality And Safety: An International Investigation. Address: http://ageconsearch.umn.edu/bitstream/10061/1/sp06va02.pdf. Retrieved September 22, 2017. Moe T. Perspectives On Traceability In Food Manufacture. Trends In Food Science & Technology, 9-5 (1998) 211-214. Bosona T., Gebresenbet G. Cluster Building And Logistics Network Integration Of Local Food Supply Chain. Biosystems Engineering, 108 (2011) 293-302. Bosona T., Gebresenbet G. Food Traceability As An Integral Part Of Logistics Management In Food And Agricultural Supply Chain. Food Control, 33 (2013) 32-48. Eckert J., Shetty S. Food Systems, Planning and Quantifying Access: Using GIS To Plan For Food Retail. Applied Geography, 31 (2011) 1216-1223. Mcmeekin T.A., Baranyi J., Bowman J., Dalgaard P., Kirk M., Ross T., Schmid S., Zwietering, M.H. Information Systems In Food Safety Management. 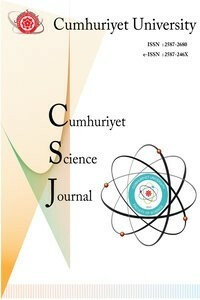 International Journal Of Food Microbiology, 112 (2006) 181–194. Suprem A., Mahalik N., Kim K. A Review On Application Of Technology Systems, Standards And Interfaces For Agriculture And Food Sector. Computer Standards & Interfaces, 35 (2013) 355–364. Özsüt Company Website. Address: http://en.ozsut.com.tr/. Retrieved September 1, 2015. Turk T., Gumusay U., Tatar O. Creating Infrastructure For Seismic Microzonation By Geographical Information Systems (GIS): A Case Study In The North Anatolian Fault Zone (NAFZ). Computers & Geosciences, 43 (2012) 167–176. Turk T. Investigating Health Studies Using Geographical Information Systems: Cancer Case Study. Polish Journal Of Environmental Studies, 22-5 (2013) 1505-1517. Hashemi Beni L., Villeneuve S., Leblanc D.I., Côté K., Fazil A., Otten A., Mckellar R., Delaquis P. Spatio-Temporal Assessment Of Food Safety Risks In Canadian Food Distribution Systems Using GIS. Spatial And Spatio-Temporal Epidemiology, 3 (2012) 215–223.